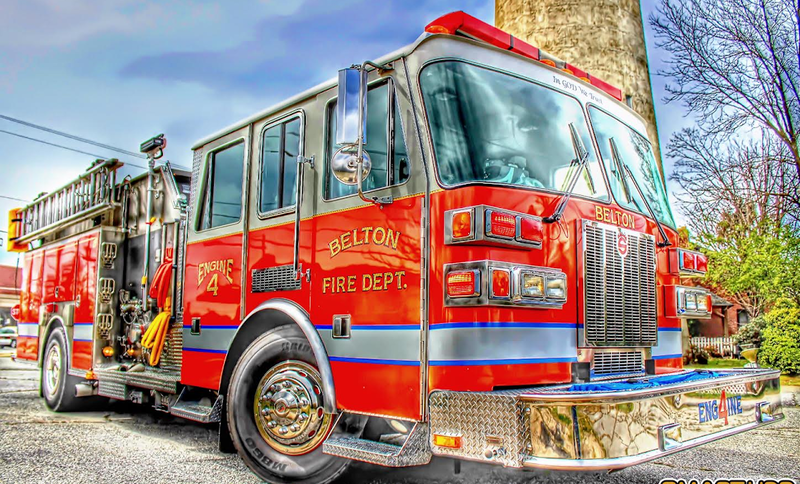 The Belton Fire Department is an aggressive and progressive combination department that is dedicated to serving our citizens through fire safety and education, emergency response, and superior customer service. This is accomplished through dedication and hard work, diligence in training and a true passion for the fire service. In all that we do, our delivery of service revolves around our three core values: Courage, Commitment, Community. Our department consists of five career members, including the Fire Chief. We also have four part-time members that work approximately 20 hours each week. Our volunteer force is made up of approximately 20 dedicated members that compliment our career staff. We currently operate four engines, two special operations trailers and two rescue/quick response vehicles. Our state of the art equipment is kept in combat ready condition each and every day. Our members are consistently in the public eye while performing hydrant testing, fire inspections, fire safety education, pre-fire planning as well as other duties. Our department strives to remain dynamic in providing the most current services possible. We proudly respond to all fire and medical emergencies that are reported in our primary jurisdiction while also providing automatic and mutual aid to other surrounding county fire stations. We also place firefighter safety in high regard by responding a rapid intervention team to all structures fires in the Williamston and Honea Path areas. Our members are trained and equipped to handle hazardous materials and operations level technical rescue incidents such as confined space and rope rescue. We are gladly supported in these areas by the Anderson County Haz-Mat and Rescue Teams. Our members receive some of the best training possible by attending regular station trainings, state fire academy courses, as well as other advanced programs. Most importantly, our members are dedicated to the goals and missions of our department and stand ready to assist you and your family if needed.